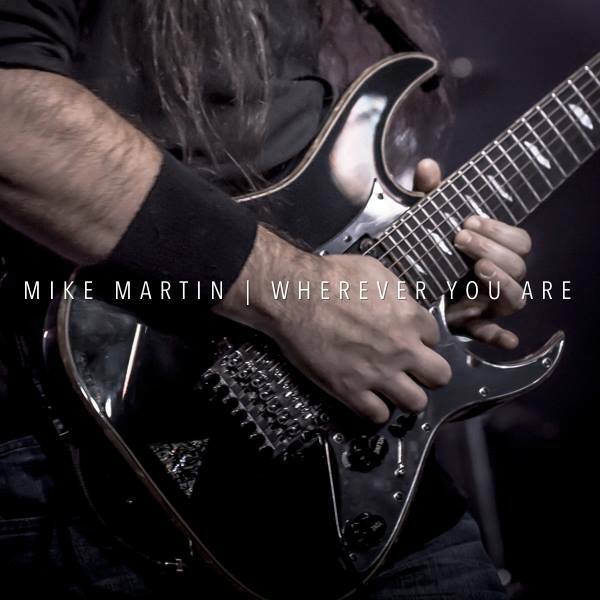 NASHVILLE, Tenn. – Dec. 16, 2015 – PRLog — Guitar virtuoso Mike Martin (http://www.mikemartin.net) releases his new ballad single “Wherever You Are” digitally on iTunes and cdbaby (http://www.cdbaby.com/cd/mikemartin4). In an excerpt from his blog on releasing this single Mike states, “Wherever You Are” was written in January of 2005 as I was preparing to head to the UK and EU for the first time touring with both heavy metal bands Fozzy and Stuck Mojo for about five weeks. Being prone to OCD and feeling quite anxious about the tour preparations both logistically and mentally, in a calm moment in the chaos this ballad came out of my head! I have delayed work on my follow-up album to “2 of 5” for a number of years due to my touring, writing and recording commitments with other projects, so I have been going through the archives looking for songs that would be fun to release as singles while I’m finishing up my new album “Drive” which I expect to release in Spring of 2016. The title of this piece is for my wife. She has held me together through all of the roller coaster highs and lows of this music career and when I am traveling, I often look up in the sky to get my bearings and send her thoughts of missing and loving her wherever she might be at that moment in time. The release date is also perfectly timed with the 20th anniversary of our meeting. Mixed & Produced by Mike Martin. The single is available on CD Baby for only .99₵ and his previous single “Oh Come, Oh Come Emmanuel” is .50₵ and his CD “2 of 5” is now available during the promotion of the new single for only $5.00. The Lowry Agency is a full service artist management/development and promotions agency. Primarily they work with musicians, actors, speakers, voice over artists, entertainment companies as well as music coordination/supervision for film and TV. More information about The Lowry Agency can be found at http://www.thelowryagency.com. This was the first tune of the host set. I usually like to play some sort of spontaneous composition as a way to warm up the ears and hands. Really get the band listening to each other. It was very cold here in GA due to Al Gore’s Arctic Sharknado Vortex (or something like… oh, I don’t know… WINTER…) so the venue had a small kerosene heater on for a bit to help warm up the room. The smell of kerosene in a small room is a bit strong to say the least! In any event, Scott started playing this bass groove and we immediately dubbed it “The Kerosene Jam”. I’ve had some custom speaker cabinets made for me by Glenwood Enclosures in High Point, NC. This one is a 115 cabinet loaded with an Eminence Legend. It’s my first 115 cab so I’m learning a lot about how this speaker sounds as I’m breaking it in. I really dug the tone! This speaker breaks up much later than the Vintage 30’s I’m used to but the tone is warm and full. I think it will be complemented well by the 212 cabinet I also had built to match. I was driving it with an Orange OR15, a 15 watt tube head, which is more than loud enough for a small club like this where I don’t mic the cab. One of the fun things for me is getting to hear other guitarists playing their guitars through whatever set-up I bring out so I get to walk around the room and listen so I can make tweaks! Shot with ZOOM Handy Video Recorder by BA from Picks & Strings. Thanks, BA! Visit: www.mikemartin.net for news, show dates, music and more.